Why did you want to read this book in the first place? : Like a lot of other people, I enjoy reading stories about ancient Rome. While this particular one might not be very factual, it is a fun read. Your FAVORITE part of the story. : Any action sequence featuring Karthus. The gladiator sands are his element. Your LEAST favorite part of the story. : I didn't like how quickly two of the characters fall in love. It was very sudden. A love of convenience or necessity. If there was anything in the story would change, what would it be? : More depth concerning the main love story. Seemed unrealistic. Why did you want to read this book in the first place? : I've come to enjoy Mr. Fox's adventure stories. 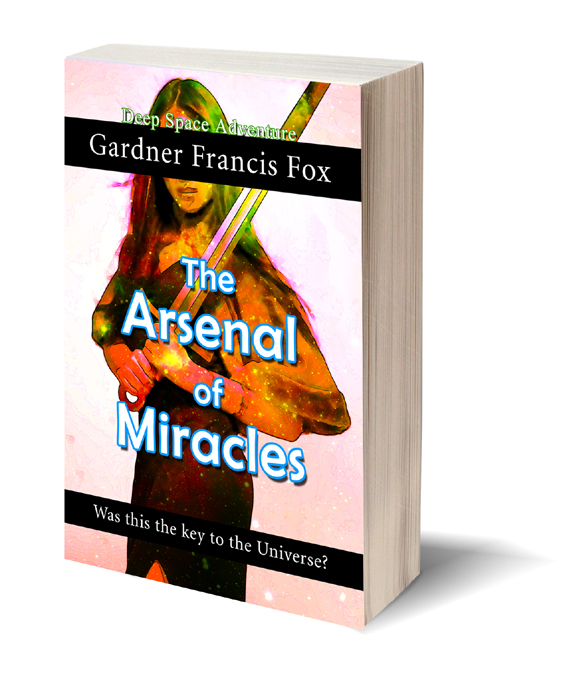 This was a science fiction adventure, but it was just what I was looking for at the time. Your FAVORITE part of the story. : The foreshadowing. Mainly the laughter at myself for not catching on sooner. That face palm moment. Your LEAST favorite part of the story. : The villains seemed lackluster. Sort of, by the book bad guys. They take up such a small part of the story. If there was anything in the story would change, what would it be? : Not a thing. Well, maybe make the villains more sinister. With some sort of nefarious plan in the works. Book title: This Sword For Hire! Why did you want to read this book in the first place? 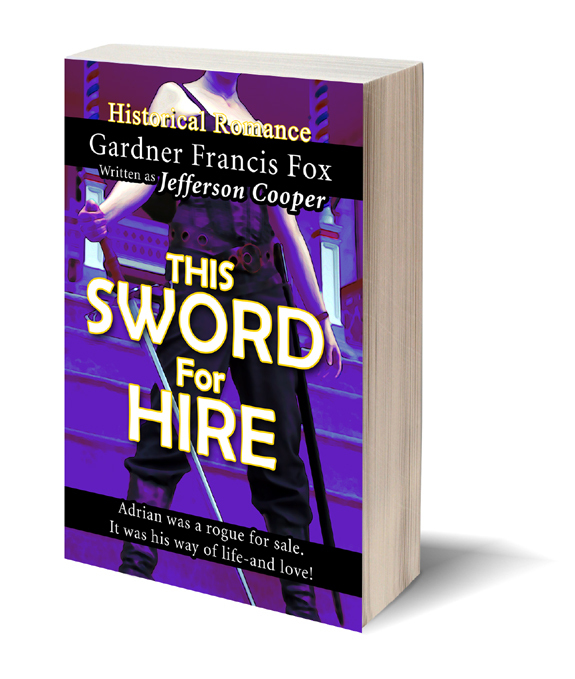 : I chose This Sword for Hire because there wasn't much feedback on the internet about the original paperback by pen name Jefferson Cooper. This lack of information piqued my interest. This paperback had largely been forgotten it seemed. Now that it's being reprinted it's easily more accessible to everyone, not just the folks luck enough to find a dusty old copy. Your FAVORITE part of the story. : My favorite part of the story was in the latter part of the book. Adrian comes into his own and becomes a leader of men. There is quite a bit of conflict. Your LEAST favorite part of the story. : I strongly feel that the story would have been stronger is Adrian hadn't been a love-sick puppy toward every woman he met. I don't think there was a woman that he didn't love, physically or emotionally. If there was anything in the story would change, what would it be? : Perhaps the length. This is a wordy piece for Gardner Fox. Why did you want to read this book in the first place? : From the original paperback synopsis it sounded more like a horror novel than what it actually was. I was looking for something different. The Druid Stone was definitely that. It is a blend of several genres that work surprisingly well together. Your FAVORITE part of the story. : Any part where Brian goes through the druid stone into the alternate reality and becomes the barbarian warrior. Your LEAST favorite part of the story. : The very end. I don't want to give anything away. The action of a certain character at the end was unrealistic. If there was anything in the story would change, what would it be? : I would take the love story angle out. I felt like it was unnecessary. Why did you want to read this book in the first place? : Another title recommended to me. Kevin Cord's beer run goes awry when he encounters himself dying in the street. His problems multiply when a beautiful woman mistakenly takes him for his doppelganger and whisks him away to the future. To stand trial for crimes he didn't commit. Your FAVORITE part of the story. : The very beginning. Cord on his beer run. Chan Dahl dying in the street. Chan Dahl coming clean about why he was there. Nice set up for the whole story. Your LEAST favorite part of the story. : The pacing. Cord and his companion's meandering trip through space and time looking for their foe. Only to discover him suddenly toward the end of the book. If there was anything in the story would change, what would it be? : The pacing, but I'm not sure what could be changed to liven it up. Why did you want to read this book in the first place? : Generally, I didn't pick science fiction stories in the past. This title by Mr. Fox was recommended to me, and it has made me change my mind about the genre. An adventure story, with a bionic man, beautiful damsel, space pirates, a murder mystery, and a Lovecraftian monster from another dimension! Your FAVORITE part of the story. : I don't want to give too much away. Carrick was bio-engineered by Hannes Stryker seemingly without purpose. I really enjoyed when Carrick discovers the purpose of his new body and how it is used in the story. Your LEAST favorite part of the story. : Like most of Mr. Fox's works the ending felt rushed. This was no exception. If there was anything in the story would change, what would it be? : Not a thing. This was a great adventure story. Why did you want to read this book in the first place? 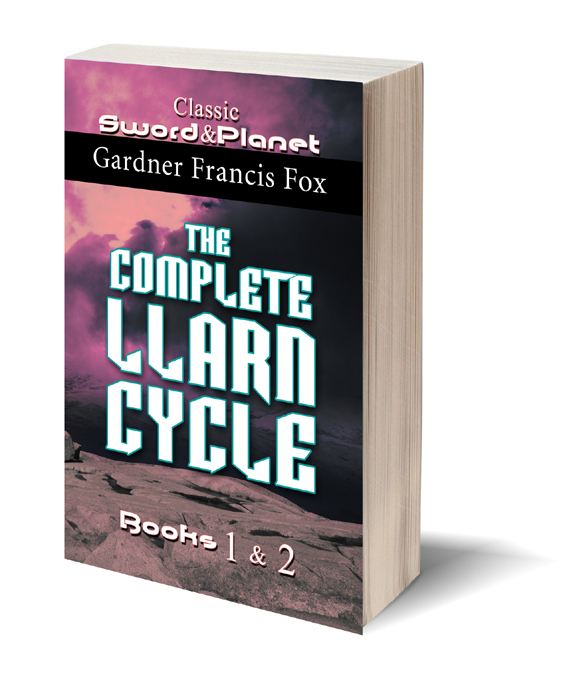 : I love a Sword and Planet story. Alan Morgan is a man who is bored with his life. He is whisked away to Llarn, by an unknown agency. There he finds Blue skinned horned barbarians, ancient ruins, highly evolved mutants, and airships galore. As always the women are beautiful and everything is an adventure. Your FAVORITE part of the story. : Alan's first battle with the natives, and the discovery of his purpose on Llarn. Your LEAST favorite part of the story. : The convenience of how Alan's problems seem to always find a amiable conclusion. But suspension of disbelief goes with reading this sort of fiction. If there was anything in the story would change, what would it be? : Nothing. This is a solid example of this sub-genre. Why did you want to read this book in the first place? : It was a gift from a friend. 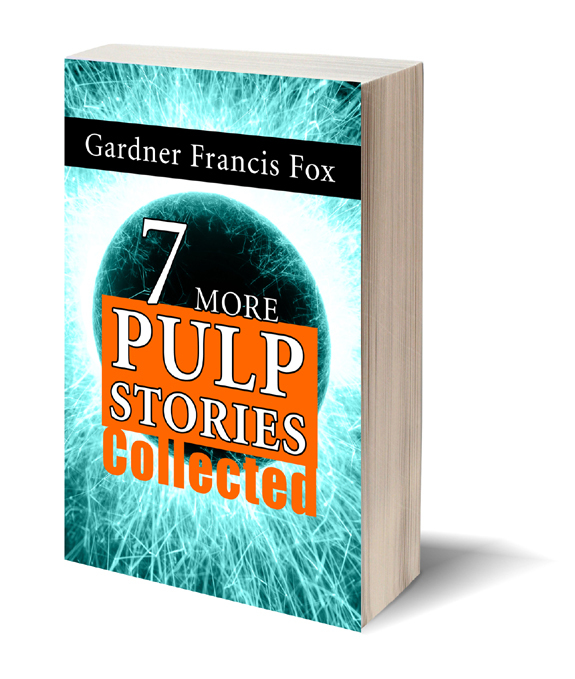 A nice collection of stories from the Pulps. Your FAVORITE part of the story. : The Holding of Kolymar - An aged soldier must do something unthinkable to save the kingdom he loves. If there was anything in the story would change, what would it be? : Not sure. Temptress of the Time Flow could not hold my attention. I might have made this story shorter with jumping around in time. Why did you want to read this book in the first place? : I really like Sword & Planet stories. Your FAVORITE part of the story. : Alan's tenacity to never give up or surrender. Alan always finds a way to escape or survive. Your LEAST favorite part of the story. : The ending, it felt rushed. If there was anything in the story would change, what would it be? : The fate of one of Alan's companions at the end. Why did you want to read this book in the first place? : I really enjoy historical fiction books. And everyone loves reading about a rogue. Your FAVORITE part of the story. : I really enjoyed all of Ian's escapades during his robberies. He always had flair and a kiss for the ladies. Your LEAST favorite part of the story. : I did not like how the relationship between the brother and another main character wasn't fleshed out until the end of the book; almost as an after thought. If there was anything in the story would change, what would it be? : I would have introduced the brother's relationship with the other main character earlier in the story. Why did you want to read this book in the first place? : I had never read a western story before. Wanted to give it a shot. Your FAVORITE part of the story. : Abel Kinniston was a likeable character. Hard as nails, and just as driven. Like a bullet from a gun he always hit the target. Your LEAST favorite part of the story. : It seemed as if Mr. Fox wanted to drive the fact that Abel was a solitary creature home excessively. It came up quite a bit. Is this a trope for Westerns? If there was anything in the story would change, what would it be? : Maybe and explanation why the two of the men Kinnniston was after stayed together while their partner in crime had went his own way. Why did you want to read this book in the first place? : The idea of a new take on Jack the Ripper was intriguing. What kind of person he was or what his motivations were led me to pick this one. Your FAVORITE part of the story. : I liked that when the Ripper murdered his victims the actions weren't graphically detailed. It would happen and be over before much detail could be given. I don't relish graphic violence or gore. Your LEAST favorite part of the story. : The ending. The ending was brutal. I could envision what was happening and was unnerved. If there was anything in the story would change, what would it be? : Not sure. Stanley discovering at an early age that he enjoyed causing pain to his lover's and then suppressing the memory was quite thin. Too much time was spent on Stanley trying to pin those elusive memories down. The Library is looking for honest book reviews. These reviews will assist The Library in its growth. Over the last two years, The Gardner Francis Fox Library has been transcribing Mr. Fox's 150+ paperbacks. The transcribed books are being distributed as eBooks and as second edition reprints. For every 3 eBooks you review, you’ll receive a FREE eBook of your choice. For every 12 eBooks you review, you’ll receive a FREE printed book of your choice (which includes S&H - US Only).